Just to let readers of Tai Chi Notebook know, this site also has a sister site dedicated to BJJ. It’s more technique and breakdown orientated than this site, but you might enjoy it too, especially if you practice the Arte Suave. I’ve given it a little New Year’s refresh too, so check it out! There’s always that moment after we bow out. After we shake hands. After the sparring where we’ve played at killing each other until one of us taps. After we’ve collapsed exhausted at the merciful interjection of the buzzer. When we’re letting the body catch up with itself. Stream rising and puddles of sweat appearing. Hard stares into the blue vinyl, waiting for the breath to return. I look around the emptying mats, still glistening with sweat. I see the people getting changed, leaving, ready to get on with their day. “I see it as a form of self defence,” says Mike. “I don’t want to miss a single class because I might miss that one technique that saves me in a real fight”. He goes on to talk about all the ways that self defence is important to him and how it could save his life. Or maybe the life of his wife and child. How it could be the most important thing he ever learns. Mike looks at me, wordlessly, expecting me to contribute my own details and honorable reasons for studying the noble art for so long. For so many years. Pushing myself. Accumulating techniques and polishing them until they work under the worst sort of pressure. Finally earning a black belt, yet not stopping there. Still continuing. I stand up and head to the changing room. “I just like to fight”. Incidentally, I heard a story from a long time black belt this weekend. He was talking about a bout he refereed at a tournament a while back. The match was between a well known world champion black belt who’s name everyone would immediately recognize if I said it. The black belt was matched up against a no name purple belt. The black belt got destroyed by the purple belt. It happens. Black belts aren’t indestructible and the cult that exists around the belt is unhealthy as it sets up unrealistic expectations. We all lose. I wouldn’t have it any other way. Nice article that gives a fresh perspective on what it means to be a black belt in BJJ when you’re just a hobbyist, not a world champion. The comments are worth reading too. It also inspired this podcast by Brandon MC. There’s a thoughtful piece on addiction, wellness and martial arts over at our good friends Kung Fu Tea that’s worth a read. 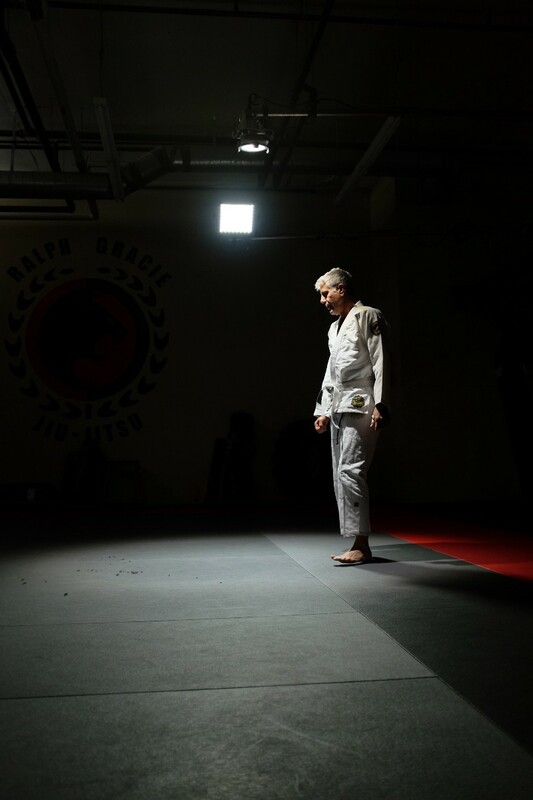 Although I never met him, as a fellow practitioner of “old man Jiujitsu” the loss of Anthony Bourdain hit me hard. It felt like we lost a warrior, an inspiration and friend all at the same time. Rest in Power Anthony Bourdain (1956-2018), Renzo Gracie Blue Belt. It’s all in Chinese, but I believe this video is a Tai Chi guy entering a BJJ competition in China… or maybe it’s a challenge match. From the way everybody is watching this one match, in particular, I get the feeling this is a special challenge. Here’s the video. The match starts at around 8.30. I can’t understand what is being said, but based on what I can see the “Tai Chi” guy showing a terrible lack of respect – he keeps hitting the BJJ guy, which is against the rules, then saying sorry to the audience, apologising profusely, then just doing it again. There’s lots of drama. The “Tai Chi” guy tries to walk off at one point when he realises the way things are going. Well done to the BJJ guy for keeping his cool. When the “Tai Chi” guy inevitably gets submitted the ref separates them and then he tries to attack the BJJ guy after the match has ended, at which point the ref restrains him with a choke hold and chaos ensues. In a world where you can self-identify as anything, anybody can claim to be a “Tai Chi guy”, but apparently the guy is Zheng Jiakuan, known as the apprentice of Ma Baoguo, and the BJJ guy is a blue-belt player Zhang Long from Alliance. Ma Baoguo produced this famous video which he claims showed the effectiveness of his techniques… while the MMA fighter claims otherwise. Anyway, I think that says it all. I don’t really know what the Tai Chi guy expected to achieve by entering a BJJ tournament, but by behaving so badly he’s ended up looking even worse than you’d expect. All the traditional Chinese values of respect are all displayed by the BJJ guy. The most perfect BJJ match ever? In terms of the matra of: takedown, pass guard, submit, Jeff Lawson’s performance at Polaris 6 is possibly the most perfect BJJ match ever. Completely flawless and so quick! We were drilling this exact Seoi Nage (shoulder throw) this week. Great to see it used exactly as we drilled it in competition against a resisting opponent.